It&apos;s been 1 year since I have this phone and till now there is not even a single problem has occurred. It is good product if your usage is only calling and social media in this budgets. I have been using this phone for almost 2 years now.It has a good camera for its price and its speaker is quite loud.The only con is that the phone struggles with just 1GB of ram and multitasking is a nightmare due to the heavily skinned MIUI. Xiaomi Redmi is a phone which gives tremendous perfomance at the initial stages but with time it starts lagging. Someone who wants to buy and use it for a year is a must go for him/her. It looked like the best phone when it was launched and that&apos;s why I got it but soon I started regretting. 7 Pricebaba users have written their experience with Xiaomi Redmi 2. 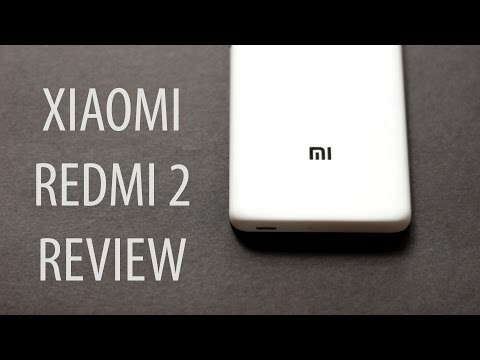 If you own Xiaomi Redmi 2, please do leave your feedback too. The Redmi 2 is the newest phone from Xiaomi to replace the highly popular Redmi 1S. Impressive specs at an affordable price was what the people really needed. The Redmi 2 has a lot in common with the phone it replaced. The device is a Flipkart exclusive product and youll need to register to purchase the device. The features of the Redmi 2 are as follows. The phone has a 4.7 inch IPS display is fully laminated with a resolution of 1280x720 pixels. The display has wide 178 degree viewing angles and a healthy 312PPI pixel density. The internals get a little refreshment, the Snapdragon 400 has been replaced by a newer Snapdragon 410 quad core processor clocked at 1.2GHz. The new processor is much faster and is 64 bit enabled. Coupled with 1GB of RAM the device should offer decent performance for the price. At the back it sports an 8 megapixel BSI sensor which helps in low lighting conditions and infrared sensor protection improves image quality is broad daylight. The 2 megapixel front facing camera is good for clicking selfies and also applies various filter to it if you wish. The primary camera is capable of recording videos at 1080p whereas the front facing camera manages 720p video. The Redmi 2 runs MIUI 6 on top of Android 4.4 Kitkat and comes with Xiaomis customizations. It has 8GB of internal memory that is expandable via a MicroSD card slot by another 32GB. The phone has a 2200mAh battery and comes with Qualcomms Quick Charge 1.0 which helps charge the device faster. This Dual SIM device is 4G LTE enabled for both the SIM cards and supports TDD-LTE Band 40 and FDD LTE Band 3.